I am a 45 year old type 2 diabetic, with very high blood pressure, hyperlipidemia, severely high triglycerides (mine are 1000 right now), and I am morbidly obese. My waist is 53 inches around. I hold most of my fat in my upper abdomen. My stomach size is so out of control my stomach hits the ground when I sit. A month ago I had a massive heart attack and diagnosed with congestive heart failure. Doctors say it is all due to my unhealthy life style (I smoke 3 packs a day and get no exercise). My weight has ballooned to 313 lb. at 5 ft. 6 inches tall. At 45 years, after a 3 month treatment for irritable bowel syndrome I suddenly showed massive edema and was (finally) diagnosed with congestive heart failure (CHF). Three years of medical treatment helped but then my EF (ejection fraction) went below 12. One year on list, 2 months waiting in ICU, finally I received heart transplant and have been normally active/healthy for 21 plus years. I have an electrical implant to help my heart to beat in rhythm. I'm also taking Entresto 49/51 and carvedilol 25 mg for my congestive heart failure. I don't get out of breath, but get fatigued easily when doing physical activities. I check my device every 3 months and been told my device is doing fine. I still need to lose weight, as I'm overweight. That would help my feeling of fatigue. I am 22 years old. I was diagnosed with cardiomyopathy, congestive heart failure, and valve disease when I was 18 due to severe hypothyroidism. I have to take ten medications a day and constantly have to use oxygen. My ejection fraction is 15 percent and I can't even get out of bed without feeling out of breath, even with oxygen. I don't want to die but this past week I've been coughing so much, I vomit, coughing blood, can't catch my breath, Lasix isn't making me urinate, I can hardly eat, I'm swollen, and I'm scared. I was released from the hospital this past Tuesday after almost a week of being in the hospital with the diagnosis of CHF. I had shortness of breath for a long time, swelling in feet which I attributed to just gaining water weight as a woman thing and other symptoms that mimicked panic attacks. They did EKG's among other tests and while in hospital, had a heart catheter done too. The results revealed no blockage. Thank goodness but my heart is weakened as a result. I fortunately left the hospital getting my breath back and no longer suffer from shortness of breath. I have to follow up with a cardiac doc and maintain a strict 2000 mg sodium diet as well as taking blood pressure med and vitamins. I also have to weigh myself everyday too. I will now do whatever it takes to get my health back. I never want to fight to just walk a few feet without feeling dizzy or out of breath ever again. All I can say is that, in my experience, cardiologists usually are judgmental, and almost dismissive in terms of bedside manner. Now that my congestive heart failure has progressed to needing more care, I am petrified of cardiologists. With congestive heart failure I had sudden swelling of the legs and collapsed. I responded to treatment after several weeks of being severely ill. Now I'm on warfarin, Lasix, magnesium and oxygen at home and coping well. I am maintaining constant weight and waist measurement; am on fluid restriction and doing well with studies. I had been experiencing a lot of shortness of breath and all my doctor would say is that I was overweight so I just ignored the problem for a very long time. The problem worsened so I finally switched doctors and he had me admitted into the hospital and a right heart catheterization was performed, this showed that I had what is called diastolic heart failure, which is a form of congestive heart failure (CHF). My condition worsened and now I am in CHF, I have a lot of swelling in my legs, and I am extremely short of breath and weak. I am on 14 pills a day for this condition and it basically helps me get through the day. I still work a full-time job which is unphysical; I sit at a desk all day because I wouldn't have the energy to do anything physical. Reading everyone's stories has been helpful. My mother was recently diagnosed with congestive heart failure. The doctor said she is running on 1.5 out of 6 cylinders. Mum is only 66, fit and healthy, with no typical risk factors—so this was a huge shock. She has no artery blockages and is on medication. Now, we have to wait four weeks to see the cardiologist again, because he is unsure what is causing it. I am hoping these medications work well, as I am scared of her deteriorating. I was considering getting a second opinion, as the cardiologist has the bedside manner of a card table and doesn't give us much information. Any other suggestions would be appreciated. 9.5 years ago my husband-to-be left a cardiologist having been told to be followed by his family doctor "no further cardiology appointments needed"- her handwritten note. At that point he had a 14% EF. I met him shortly after that and we fell madly in love. I was a contract sleep tech and he followed me from the Carolinas to New Mexico, then to Anchorage and finally to Texas. At Baylor-Dallas we met Doctors who decided they had the knowledge and skill to operate and stabilize him. A CABG x5. Now his EF is 23% - he keeps an ugly echo with left wall akinesis and right side hypertrophy - and EKG that still will throw the occasional multifocal triplet and a defibrillator that will shock him about twice a year. But he keeps on trucking. I think our "secret" has been a very strict diabetic diet and watching fluids along with daily exercise and CPAP at night. I am 43 years old and was diagnosed with congestive heart failure prognosis in July 2009 with an ejection fraction of 15% after experiencing pneumonia during the Spring of 2009. I experienced shortness of breath, difficulty sleeping, swelling of my feet and legs, and exhaustion from walking from a parking lot into the grocery store. I slept a lot during the day, but would wake up feeling as though I hadn't rested enough. My second echocardiogram was conducted in November of 2009 after a treatment plan from my cardiologist including medication, diet, cardiac rehabilitation, and limited sodium (2,000 mg or less per day) and fluids (33 oz per day). My EF had improved to 25-30%. I continued on the same path of recovery. My third echocardiogram was conducted in June of 2010. My cardiologist reported that my EF had improved to 50%! I still exercise 3x week, take my medications regularly, control my fluid and sodium intake, and watch my diet. I try to eat heart health foods on a daily basis and take an Omega-3 supplement. I was diagnosed with congestive heart failyr prognosis when I was a teenager. I had Rheumatic Fever and was told I would not live past my 30's. I am now 71. I have the classic symptoms of leg and foot swelling especilly in the left limb. I tire easily, and my fingers turn blue. Strenuous exercise has always been difficult. I am prone to Bronchitis. But then I am 71. I was 34 when diagnosed. Spent one week in ICU another week on the floor. I'm told that I'm a category four but believe I'm a three or three plus. I've had this for two years and am still in good health all things considered. 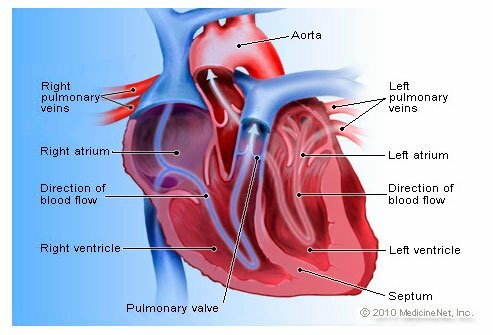 I have had little improvement in heart function, both valves on the left leak. I'm on several meds that all help. When I first came out of the hospital I was tired all the time. I was useless for anything. I started with slow exercise and worked my way up as my body would allow. Now I'm quite active and do very well, but there's one catch. Diet, when they say limit salt and fluid, I did. 1200 or less mg of sodium and 2000ml or less of fluid. This changed everything. To the lady that wants to swim you'll get there but you have to watch sodium from all sources, watch fluid and restart exercise. It will take a while but you can do it. Good luck. Gotta go I have an appointment with a bike for 45 minutes. It just started like a mere chest pain till it developed to a very severe one. I have never smoked, drank alcohol, or engaged into things that could affect my heart and no family related diseases. I get tired with any slightest thing I do yet, I look so strong that doctors don't believe that I am the one sick. Sometimes, it looks as if I have lost my breath. I am tired of this development even, when I am 30 years old. I am a 60 year old female and I was in the hospital for three weeks because I could not breathe only when I walked. When I was still, I could breath fine. They told me I have congestive heart failure and I am on furosemide (a water pill) and ACE Inhibitors. Today, I am feeling weak and I want to go swimming indoors. I can't because I am so weak. I can breathe ok but I can't exercise. I clean my house and then I get so tired I have to sit down and rest. I am angry at my illness because I don't want to rest. I want to go places and not stay home. There is not much more the doctor can do for me. Well, today I am not staying home. I am going out. Why do I have this illness? I asked my doctor and he said he did not know why I have this. I have never smoked or drank in my entire life. I am not overweight and I don't have diabetes. I don't want to stay home. I want to go places like I used to. Doctor really had no prognosis-told me my heart would always be weaker. My CHF was idiopathic (unknown) and probably viral. Never smoked, drank, or did any drugs. I am in good health and no family history. I think it had something to do with menopause but nobody knows! My mother (88 years) was just diagnosed with congestive heart failure. Perfectly healthy otherwise. Not on any medications. She had little shortness of breath and said her chest felt a little heavy. She was admitted to the hospital. She had high blood pressure and was put on bp medication. I have been diagnosed with Class 4 heart failure. I am not bed ridden, but my days are full of struggles. My ef is 22% left ventrical dysfunction. I am on medications and on oxygen 24 hours a day. I have been told there is no cure for my heart condition. I have cardiomyopathy from an unknown cause. I also have a pacemaker for irregular heartbeat, and do not work.